Not all emergency notification systems are created equally. Each industry has unique requirements for mass notification providers. That's why it’s important to consider many factors when choosing a vendor and make sure that your emergency service can serve all your needs. 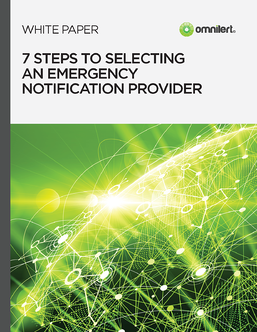 Use this guide to ensure a successful communications with the right mass notification provider.